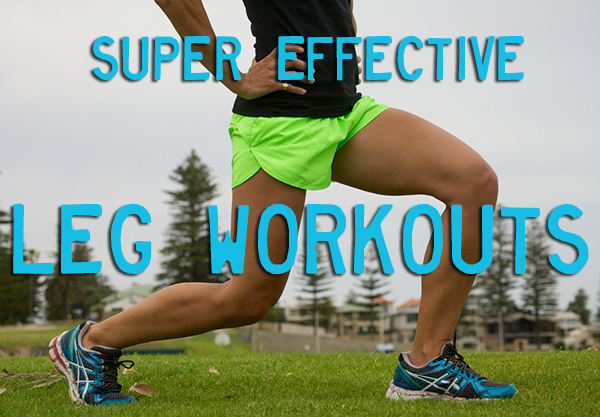 I’ve got the moves to chisel and sculpt your legs to perfection. Now that the weather’s warm, get ready to show off your gorgeous gams in a short skirt by doing 1-3 sets of each of these 4 exercises, 2-3 times a week. Stand tall with your feet hip-width apart, arms at your sides. Step your right foot back about a stride’s length then bend both knees until your left thigh is parallel to the floor. Immediately stand back up and swing your right leg forward a stride’s length, bending both knees as soon as your foot touches down. Next, jump up in the air and switch leg positions, bending both knees again as soon as your feet touch back down. Use your arms throughout to both power and balance your movements. Jump back up to the start and repeat the move, this time doing a curtsey to the opposite side. Repeat until you have done 5-6 curtseys to each side. Lie on the floor with your arms at your sides. Bend your left leg and place your foot on top of a BoSu or step. Pressing your left foot into the BoSu, raise your buttocks and lower back off the floor then lift your straight right leg up until your heel is perpendicular to the floor. Pause at the top then, rolling from the hip, swing circle your right leg around to the side and front. Lower to the start. Do 8-12 reps with your right leg. Repeat with your left. Place an ankle weight between your feet (or a five pound bag of rice) and stand tall with your feet hip-width apart, arms up near your chest. Squat down by bending your knees until your thighs are parallel to the floor. As you stand back up, slide your right leg towards your left leg, pushing the weight along with your foot. Slide the weight in the other direction on the next rep.
Do 8-15 reps each leg. Get more great fitness challenges from Liles at AcaciaTV. You’ll find over 100 hours of on-demand streaming workouts for every fitness goal for one low price. Non-Crunch Moves to Build Your Core (and Not Kill Your Neck)!